Please check the box if it applies to you within the last 30 days. a. Would you say that you have a hard time dealing with sadness or possessiveness? b. Would you say that you have been trying too hard or perhaps pretending that you’re ok when your really not? d. Do you struggle with anger, resentment, bitterness or frustration on a consistent basis? e. Would you have a tendency to say that you live in fear, or struggle with fear? f. Do you feel that on a day to day basis you have a tendency to struggle with any or all of the emotions mentioned above? Basil has a warm, spicy, yet herbal aroma known to reduce anxious feelings. Basil provides great benefits to both the mind and body due to its high linalool content, making it an ideal application to help reduce feelings of tension when applied to the temples and back of the neck. Basil is commonly used in cooking to add a fresh, herbal flavor to meats, pastas, and entrée dishes, and it is also cooling to the skin. When diffused, Basil essential oil helps promote focus and a stress-relieving experience. Diffuse basil essential oil to promote a sense of focus while studying or reading. Diffuse bergamot essential oil in the classroom, at work, or at home when stress levels or tension is high. Birch essential oil is a purifying, uplifting and stimulating oil that encourages detoxification of the body when inhaled or applied topically. The properties in birch essential oil promote comfort and relaxation, and support the body's own ability to boost effectiveness of it’s healing cycles. These properties render it useful in overcoming feelings of sadness, inertia or fear. Traditionally, applied topically, birch essential oil was used as an astringent and was recognized for centuries as among the most effective of toners and tighteners of skin. Its active ingredients of salicylic acid and methyl salicylate make this minty, versatile oil an excellent choice for supporting skin health. Consider adding it in very small concentrations to some of your favorite skin care routines. Massage Oil: Add a drop to your massage oil and rub into fatigued muscles and areas. In the Diffuser: Birch oil added a drop at a time into your diffuser will cut through heavy air and emotions and will leave an aroma atmosphere that promotes mental clarity and cheer. Skin Soothe: Combine birch with helichrysum in a carrier oil for a potent soothing blend. Fatigue Bath: Add a drop or two to a warm bath and enjoy a soothing soak. Though birch essential oil is non-toxic in standard aromatherapeutic dosages (highly diluted), it is a powerful oil that must always be diluted. It contains methyl salicylate, the active ingredient in aspirin. Do not take birch essential oil internally. Sweet birch oil should not be used near open wounds or mucous membranes. Because the smell is sweet and resembles wintergreen-type candies, it is especially important to keep this, like all essential oils, out of reach of children. A close relation to Cinnamon, Cassia has a strong, spicy aroma that can be used in small quantities to transform any essential oil blend. Cassia has been used for thousands of years to maintain physical health* and promote emotional well-being. * It's one of the few essential oils mentioned in the Old Testament, noted for its unmistakable fragrance and calming properties. 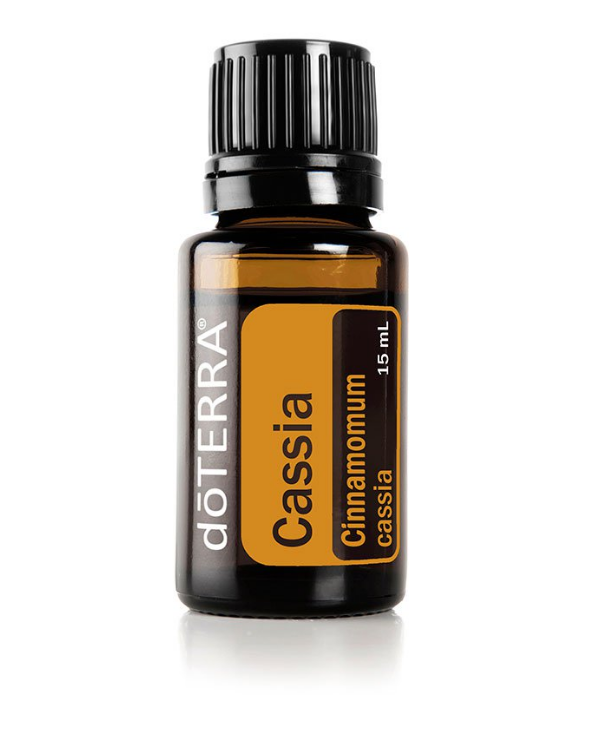 Cassia is a "warming" oil that helps promote a healthy immune function. * It also is a great oil to diffuse during cold months due to its warming properties and spicy scent. 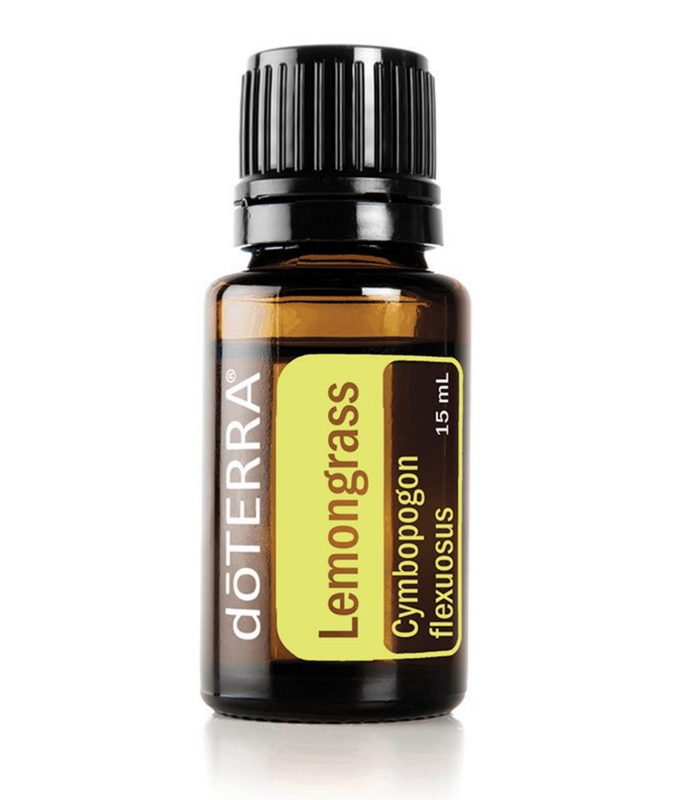 Due to its caustic nature, Cassia should be diluted with doTERRA Fractionated Coconut Oil when applied to the skin and can be very strong when inhaled directly. When diluted, Cassia can help soothe the body. Cassia can be used in cooking either as a replacement for cinnamon in pies and breads or by itself in a myriad of entrees and desserts. Topical use: Dilute with doTERRA Fractionated Coconut Oil and apply to desired area. Add to desserts for an additional depth of flavor. Rub Frankincense essential oil on your hands after a long day of gardening for a warming and soothing effect. Diffusion: Use three to four drops of frankincense essential oil in the diffuser of your choice. A member of the Pelargonium genus of flower species, geraniums are grown for their beauty and as a staple of the perfume industry. While there are over 200 different varieties of Pelargonium flowers, only a few are used as essential oils. Uses of Geranium essential oil date back to ancient Egypt when Egyptians used Geranium essential oil to beautify skin and for other benefits. In the Victorian era, fresh geranium leaves were placed at formal dining tables as decorative pieces and to be consumed as a fresh sprig if desired; in fact, the edible leaves and flowers of the plant are often used in desserts, cakes, jellies, and teas. As an essential oil, Geranium has been used to promote the appearance of clear skin and healthy hair—making it ideal for skin and hair care products. It also helps calm nerves and lessen feelings of stress. Geranium is also known to naturally repel insects. Geranium essential oil is great for both dry and oily hair. Apply a few drops to your shampoo or conditioner bottle, or make your own deep hair conditioner. Topical use: Apply one to two drops of grapefruit essential oil to desired area. Dilute with doTERRA Fractionated Coconut Oil to minimize any skin sensitivity. Alzheimer's Disease, Aphrodisiac, Back Pain, Cancer, Cartilage Repair, Confusion, Exhaustion, Fear, Hair (Dry), Hiccups, Laryngitis, Lou Gehrig's Disease, Meditation, Moles, Multiple Sclerosis, Rashes, Skin (Dry), Ultraviolet Radiation, Vitiligo, Yoga. Helichrysum italicum is a small perennial herb with narrow, silver leaves and flowers that form a cluster of golden yellow, ball-shaped blossoms. The name “Helichrysum” is derived from the Greek “helios” meaning sun and “chrysos” meaning gold, referring to the color of the flowers. Helichrysum essential oil has been used in herbal health practices since ancient Greece and the oil is highly valued and sought after for its many health benefits. Helichrysum is best known for its restorative properties to the skin. Also referred to as the Everlasting or Immortal Flower, Helichrysum is used in anti-aging products for its rejuvenating benefits to the skin. Helichrysum can help reduce the appearance of blemishes, and it promotes a glowing, youthful complexion. Abscess (tooth), AIDS/HIV, Aneurysm, Bleeding, Bone Bruise, Broken Blood Vessels, Bruises, Catarrh, Cholesterol, Cleansing, Colitis, Cuts, Dermatitis/Eczema, Detoxification, Earache, Fibroids, Gallbladder Infection, Hematoma, Hemorrhaging, Herpes Simplex, incisional Hernia, Liver Stimulant, Lymphatic Drainage, Nose Bleed, Pancreas Stimulant, Phlebitis, Psoriasis, Sciatica, Shock, Staph Infection, Stroke, Sunscreen, Swollen Eyes, Taste (Impaired), Tennis Elbow, Tinnitus, Tissue Pain, Tissue Repair, Vertigo, Viral Infections, Wounds. Evokes feelings of joy, peace, and self-confidence. Helps balance mood throughout the month. Promotes a healthy-looking, glowing complexion. Nourishes and protects the skin and scalp. Reduces the appearance of blemishes. Helps balance mood throughout the month. In addition to the physical support Jasmine essential oil offers, its aromatic affect on the nonphysical are quite interesting as well. It's said to be the oil of support, helping you find your own inner support and strength, rooting yourself into your own center and allowing you to seek, find, and receive support in new ways. Like White Fir, it can also support you in breaking generational patterns, and bring healing to relationships. It will assist you in processing and overcoming feeling unsupported, alone, or rejected, but also in being flexible while sturdy and grounded. It may also help when you're feeling scattered, overwhelmed, unsupported, resistant toward or lack of connection with others, challenge around trust, and so on. Apply Jasmine essential oil to the abdomen to manage the symptoms of PMS. Apply to pulse points to soothe nervous tension and uplift mood. Apply one drop of Juniper Berry Essential Oil to promote a clear, healthy complexion. Lavender essential oil has been used and cherished for centuries for its unmistakable aroma and myriad benefits. In ancient times, the Egyptians and Romans used Lavender for bathing, relaxation, cooking, and as a perfume; it is widely used for its calming and relaxing qualities which continue to be Lavender’s most notable qualities. Lavender is frequently used to reduce the appearance of skin imperfections. Add to bath water to soak away stress or apply to the temples and the back of the neck. Add a few drops of Lavender to pillows, bedding, or bottoms of feet to promote a restful night’s sleep. Due to Lavender’s versatile properties, it is considered the must-have oil to have on hand at all times. Use lavender essential in cooking to soften citrus flavors and add a flavorful twist to marinades, baked goods, and desserts. Cold-pressed from the peel of fresh limes, Lime essential oil is refreshing and energizing in both aroma and taste. Limes are frequently used in entrées and beverages for their fresh, citrus flavor. Due to its high limonene content, Lime provides internal cleansing benefits* and can be diffused to help purify the air. It’s also an effective and natural surface cleaner. Lime is known for its ability to uplift, balance, and energize. Lime is frequently used in facial and body cleansers for its purifying properties and uplifting scent. Put some Lime essential oil on a cotton pad and use to help remove grease spots and sticker residue. Arterial Vasodilator, Arthritis, Bone Spurs, Carpal Tunnel Syndrome, Cartilage Injury, Colic, Constipation, Cramps/Charley Horses, Croup, Expectorant, High Blood Pressure, Muscle Aches, Muscle Fatigue, Muscle Spasms, Muscle Tone, Muscular Dystrophy, Neuralgia, Osteoarthritis, Pancreatitis, Parkinson's Disease, Physical Stress, Prolapse Mitral Valve, Rheumatoid Arthritis, Sprains, Stiffness, Tendinitis, Tension (Muscle), Whiplash (Muscles). Acne, Allergies, Aneurysm, Athlete's Foot, Bacterial Infections, Boils, Bronchitis, Candida, Canker Sores, Cavities, Chicken Pox, Cleansing, Cold Sores, Colds (Common), Coughs, Cuts, Dermatitis/Eczema, Dry/Itchy Eyes, Ear Infection, Earache, Flu (Influenza), Fungal Infections, Gum Disease, Hepatitis, Herpes Simplex, Hives, Immune System (Stimulates), Infected Wounds, Infection, Inflammation, Jock Itch, Lice, MRSA, Mumps, Nail Infection, Pink Eye, Rashes, Ringworm, Rubella, Scabies, Shingles, Shock, Sore Throat, Staph Infection, Sunburn, Thrush, TOnsillitis, Vaginal Infection, Varicose Ulcer, Viral Infections, Warts, Wounds. 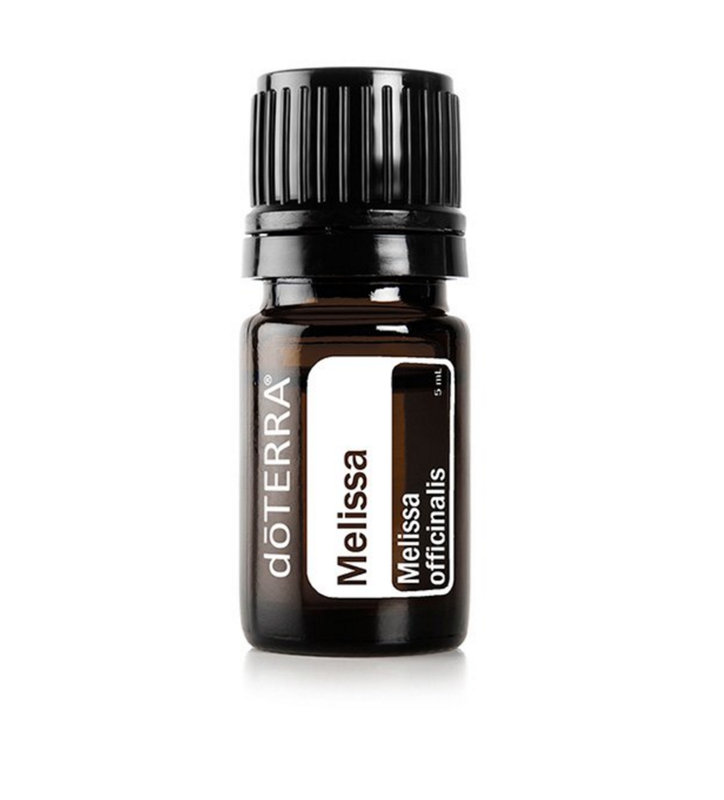 Internal use: Dilute one drop of Melissa essential oil in 4 fl. oz. of liquid. 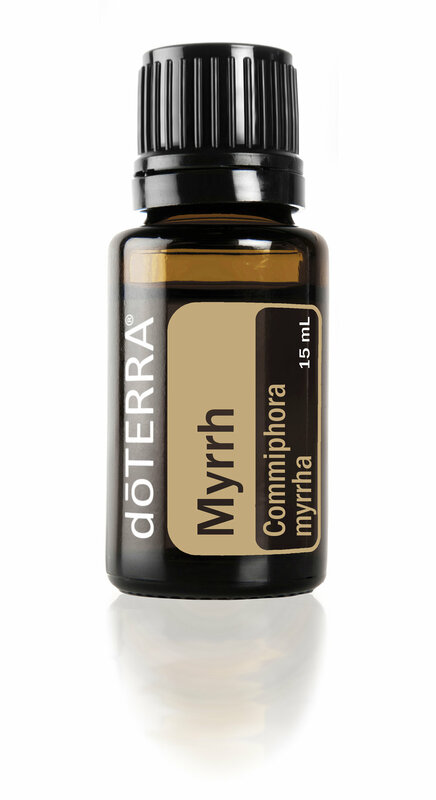 Internal use: Dilute one drop of myrrh essential oil in 4 fl. oz. of liquid. Patchouli is a bushy herb from the mint family with stems reaching two or three feet in height and bearing small, pink-white flowers. Easily recognized for its rich, musky-sweet fragrance, Patchouli essential oil is regularly used in the perfume industry as well as in scented products such as laundry detergents and air fresheners. Patchouli is beneficial to the skin in many ways. It is often used to help reduce the appearance of wrinkles, blemishes, and minor skin imperfections and to promote a smooth, glowing complexion. The fragrance of Patchouli provides a grounding, balancing effect on emotions. Apply one to two drops of Patchouli essential oil to help reduce the appearance of wrinkles, blemishes, or problem skin areas, or add to your favorite moisturizer. Use a drop of Peppermint essential oil with Lemon in water for a healthy, refreshing mouth rinse. Diffusion: Use three to four drops of Roman Chamomile essential oil in the diffuser of your choice. Research and personal experiences tell us that rose oil can improve acne, balance hormones, relieve anxiety, improve depression, reduce rosacea and naturally increase libido. Combine with Hand and Body Lotion for a moisturizing application or combines well with other moisturizers to help balance moisture levels in the skin. Promotes an even skin tone and healthy complexion. Emotionally uplifting. Promotes feelings of relaxation. Internal use: Dilute one drop of Rosemary essential oil in 4 fl. oz. of liquid. Sandalwood is a name given to a class of fragrant woods that, unlike other aromatic woods, can retain their fragrance for decades. Both the wood and oil have been highly valued for centuries and Sandalwood has a documented history of many applications. It was traditionally used as an incense in religious ceremonies and for enhancing meditation, and the Egyptians used sandalwood essential oil for embalming. Sandalwood is very beneficial to the skin; it can help reduce the appearance of skin imperfections and it promotes a healthy, smooth complexion. Sandalwood has a sweet, woody aroma that can enhance mood and is frequently used in meditation for its grounding effects. For an at-home spa experience, fill a large bowl with steaming water, then apply one to two drops of Sandalwood essential oil to your face and cover head with a towel. Place your face above the steaming water. Your skin will feel nourished and rejuvenated. Alzheimer's Disease, Aphrodisiac, Back Pain, Cancer, Cartilage Repair, Coma, Confusion, Exhaustion, Fear, Hair (Dry), Hiccups, Laryngitis, Lou Gehrig's Disease, Meditation, Moles, Multiple Sclerosis, Rashes, Skin (Dry), Ultraviolet Radiation, Vitiligo, Yoga. Spearmint is a perennial plant that grows 11–40 inches tall and flourishes in temperate climates. It is widely used in gums, candies, and dental products for its minty taste, and to promote fresh breath. Spearmint essential oil has been used for centuries for its digestive benefits. Its sweet, refreshing aroma is cleansing and uplifting, making it ideal to evoke a sense of focus and positive mood. Spearmint is very different from Peppermint, making it a milder option to use on children and those with sensitive skin. In cooking, Spearmint is frequently used in salads, drinks, and desserts, but it can also be used in homemade salad dressings and to marinate meats. Add 1–2 drops of Vetiver essential oil to tea or hot drinks during winter time to promote immune-supporting properties*. The white fir tree is a popular wood for construction because of its combination of strength, versatility, and beauty. It is also a popular choice for Christmas trees. Native Americans used white fir as a building material and in traditional health practices. Derived from the soft needles of the tree, White Fir essential oil is most noted for feelings of soothing comfort. Aromatically, White Fir evokes feelings of stability, energy, and empowerment. It can be stimulating to the senses while helping the body relax. Diffuse White Fir essential oil for energizing effect. Cold pressed from the peel, Wild Orange is one of doTERRA’s top selling essential oils due to its energizing aroma and multiple health benefits. * High in monoterpenes, Wild Orange possesses stimulating and purifying qualities, making it ideal to support healthy immune system function when seasonal threats are high. * As with many citrus peel oils, Wild Orange essential oil contains powerful antioxidants that help maintain overall health. * It can be taken daily to cleanse the body* or used on surfaces as a natural cleaner. Diffusing Wild Orange will energize and uplift the mind and body while purifying the air. Wild Orange enhances any essential oil blend with a fresh, sweet, refreshing aroma. Diffusion: Use three to four drops of wild orange essential oil in the diffuser of your choice. Add Ylang Ylang to doTERRA Fractionated Coconut Oil for a deep hair conditioner.